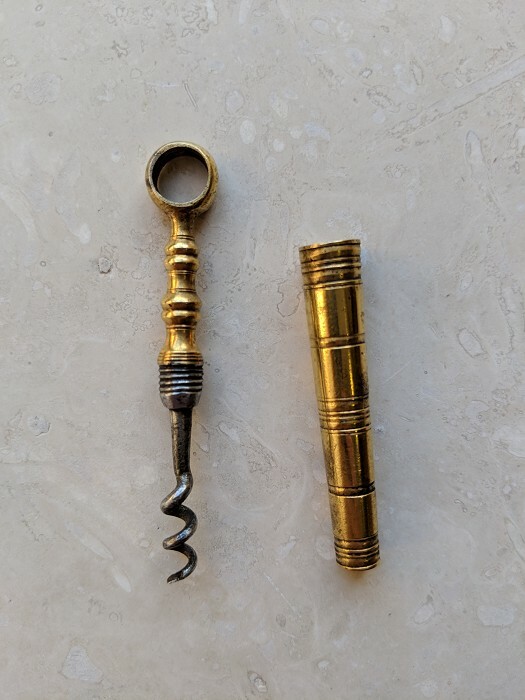 Vintage English gold gilt pocket perfume corkscrew. Measures 3" long. The width of the helix is comparable to that of the average perfume corkscrew and is noticebly different from the average corkscrew that this is based on. Note: The regular steel version in the 4th picture is not included in this lot, but is shown for scale. The gold plating is in very good condition. The helix is shortened. I charge actual shipping costs plus $1 handling.